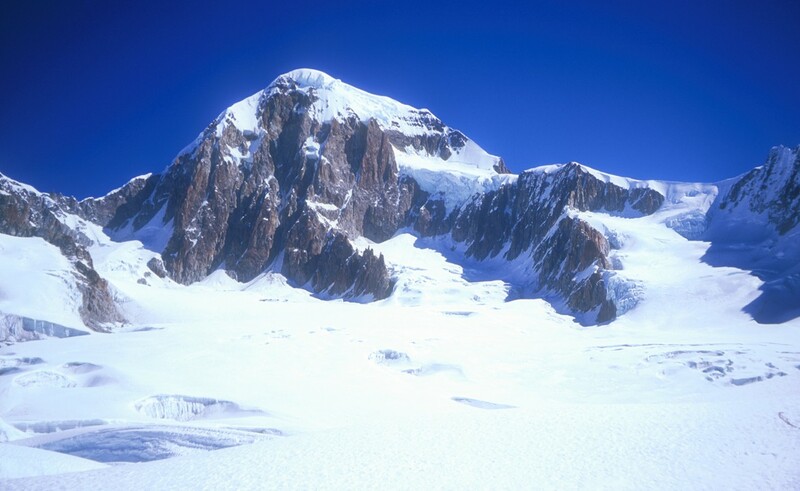 A view of Ancohuma (6427m) from high camp at 5600m. The climbing route we attempted crosses the glacial cirque towards the peak, then traverses right to a snowy ramp that is climbed to a plateau. From the plateau, the route turns left traversing to the base of a steep face, which is ascended up to the summit ridge, which is followed to the top.